DoublExit Escape System is a groundbreaking product. during emergencies when existing means of escape are either inaccessible or inoperable. DoublExit Escape System is bidirectional, which enables the immediate and continuous evacuation of a large number of people. DoublExit Escape System is mechanically operated and does not rely on any external power source. The evacuation process can be undertaken independently, without acquiring specific skills or professional assistance. The system can operate in structures up to 150 meters high, with loads ranging from 30 to 150 kg. It offers a controlled descent rate of about 1 meter per second, in total safety. DoublExit Escape System, which can deal with heights up to 150 meters, can be installed in apartments, offices or any other location without structural alterations or changes to the interior design. DoublExit Escape System installations are modified in accordance with specialist recommendations and the specific needs of the client. The system can be installed in new or existing buildings. Specially trained professionals will carry out every part of the process, from the initial onsite inspection up until the actual installation. 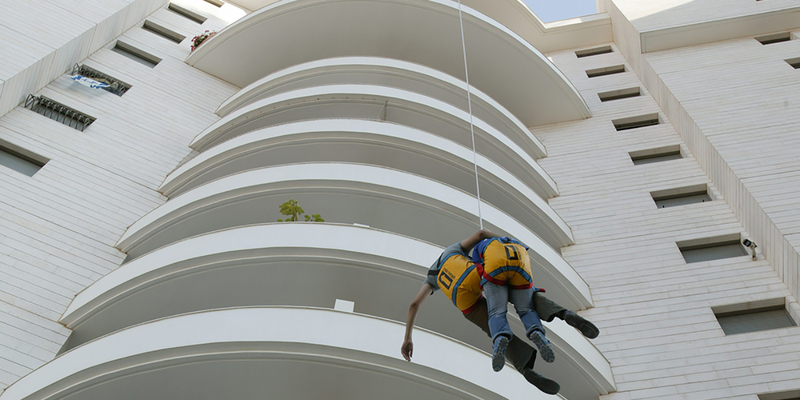 DoublExit Escape System is capable of withstanding sudden, constant and irregular strains and loads that may arise from different emergency situations. The system is equipped with breaking and energy absorbent mechanisms as well as friction control. The escape cable is an extremely strong compound that was developed especially for this purpose. 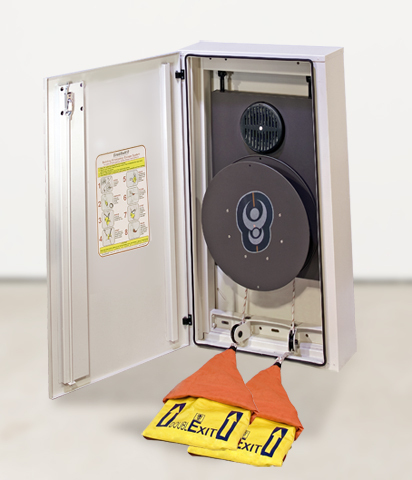 Each DoublExit Escape System is tested during and after production. This stringent quality control and testing process was developed especially for DoublExit. The process has received widespread recognition from worldwide safety standards authorities. The quality control process guarantees maximum reliability.